The Faculty of Mass Media Communication at the University of Ss. Cyril and Methodius in Trnava (FMK) provides higher education and organizes courses aligned with this mission.We support creative scientific research and artistic production. The main aim of FMK is to spread knowledge, to develop overall education of the society in the field of mass media studies and to support the development of personal and professional qualities of academic staff and students. FMK INTERNATIONAL STUDENT GUIDE [70.4 MB, application/pdf]. Our university is a modern, dynamically growing and ambitious institution that was established in 1997. The Faculty of Mass Media Communication is the fundamental and the most important faculty of the university. It also has a specific position in the Slovak education market – in particular – for its uniqueness to be the largest and the most complex media school in the country. It is considered to be the country’s most desired school among students of media studies. The demand for graduates of our faculty ranks the institution among ten most prestigious faculties in Slovakia. The faculty is also a research-development institution participating in scientific research in Slovakia and abroad. It cooperates with educational, research, artistic and art institutes. The faculty is involved in solving many international scientific and research tasks. It also runs the international center of media education. FMK UCM established the International Center of Media Literacy in 2010. 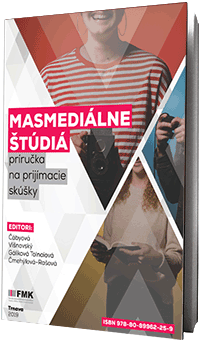 This center has significantly contributed to the fact that Slovakia climbed from 23th up to 8th place among EU countries in media literacy level. FMK UCM has gained prestige in the international field, too; based on the proposal of FMK, the degree „doctor honoris causa“ were granted to famous world science authorities such as Philip Kotler (USA), prof. Zygmunt Bauman (UK) or prof. Dr. Jur. Peter Bruck, PhD. M.A. (Austria) and others. Assoc. Prof. PhDr. 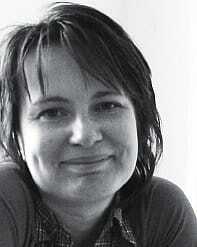 Ľudmila Čábyová, PhD. Prof. PhDr. Slavomír Gálik, PhD. Assoc. Prof. PhDr. Ján Višňovský, PhD. The term media relations is understood by professional public as a regular communication with media via maintaining good relationships with journalists who are interested in issues of company or public institution. The neutral, positive or negative publicity resulting from critical situations is primarily the consequence of quality of such relationships. Relations with media are based on production and providing the information. The aim of this kind of information is to attract attention of addressed media and subsequently the interest of media content recipients about certain topic regarding the company, organization, its products or services. The term media relations in its narrow sense may also represent creating good relationships with other subjects involved in media communication. Study program media relations is taught in English language as the only program at our faculty. The graduate of Media Relations is profiled as an expert in communication in the creation of media relations and masters a wide range of knowledge from a number of disciplines, primarily from the areas of mass media and marketing communication, broadened by specific courses of the media relations programme, as well as communication skills and competences. The graduates can find their career opportunities in publishing houses, editorial offices of various types of media, marketing and PR departments, public sector institutions, PR agencies, media agencies, marketing agencies, editorial systems of print, audio, audiovisual and internet media and as media relation experts. The programme is offered in the English language. Where can the graduates find their career opportunities? the areas of psychology, sociology, ethics, political science, law and also a wide linguistic knowledge and skills in two foreign languages. The programme has an interdisciplinary character based on theory of culture, aesthetics, theory and history of a selected discipline and theory of artistic genres. Starting with the forth year, the graduates of Mass Media Studies deepen their scientific knowledge in dramaturgy, directing, media and psychology, in scientific, internet and multi-media communication. The study of verbal and communication technologies, authorial creation and self-presentation is also a part of the graduate’s profile. 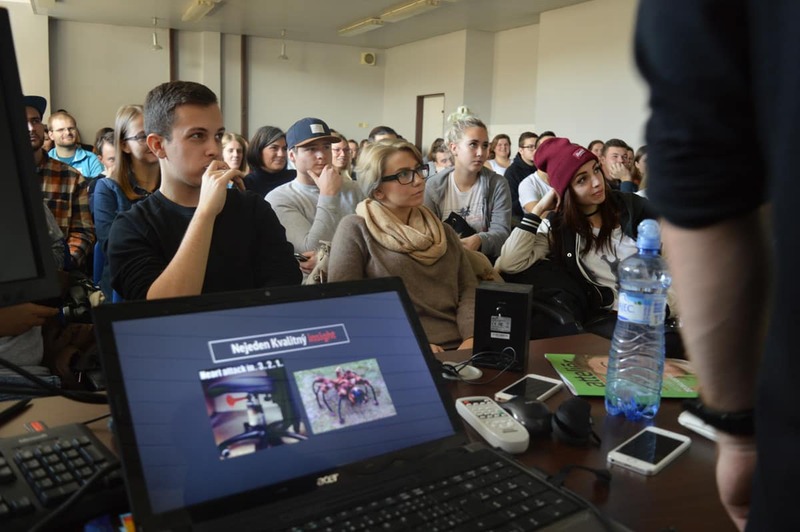 In their education, individual departments closely cooperate with the institutes of SAV (Slovak Academy of Sciences), other faculties of the UCM and the media organizations. The professionals from the media also collaborate in the educational process and technological equipment of media institutions is used. The graduates of Mass Media Communication in the Doctoral degree will acquire a wide range of theoretical knowledge from the respective field. Regarding the fact that the study is multidisciplinary, the acquired knowledge will include philosophy, sociology, law, verbal and artistic creation with a focus on the media. Theoretical knowledge from the fields of social and mass media communication is the starting point for the educational processes. Emphasis is paid to the formation of practical skills and competences, which will enable the graduate to enter the social and mass media systems both actively and creatively. The graduate of the Doctoral study of mass media communication has an opportunity to get acquainted with methodology of scientific work, to gain the most up-to-date information about the current state of scientific knowledge, and through his own independent scientific work can broaden the current level of knowledge in the theory and practice of mass media communication. The graduates of the study programme will gain basic economic, philosophical, technical and media knowledge. The applied part of the study includes essentials of media informatics, marketing, management and theory of the market economy. The role of the study is to educate professionals who will be able to deal with tasks in the fields of media management and marketing of advertising and marketing agencies with regard to media-marketing aspects. The graduates will gain basic knowledge about the function and roles of marketing-media specialists as well as in the field of creating marketing strategies of media products. The knowledge of the programme’s graduate integrates the knowledge of modern information technologies with knowledge of the market and communication skills. Therefore, it has an interdisciplinary character. The graduate’s knowledge conditions the laws of transformation of communication-marketing strategies to utility values. The graduate is familiar with the substance of the creation of media campaigns and communication strategy, he masters technologies such as the internet, teletext, direct mail and others. 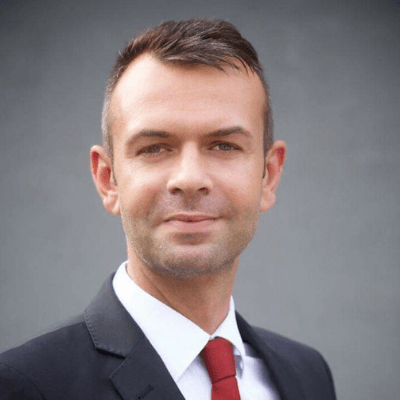 He has knowledge about the nature of media-marketing operations, scientifically proven procedures in the fields of publicity and advertising with regard to their theory, production and management. The graduate has knowledge and skills based on a wide theoretical and technological basis such as communication systems, economic and media analysis and the psychology of communication processes. to compare diverse types of media information. The graduates of Applied Media Studies are profiled as experts in the competent use of media and new communication technologies in specific work positions and other life activities of individuals in various spheres of social reality. The graduate is also profiled as an expert in programmes of intentional formation of media competence of individuals in the system of educational institutions of both formal and informal character, in the system of media institutions or institutions from related social disciplines. The graduates will acquire practical skills in the creation and production of print, audiovisual and digital media content. Particular emphasis is placed on digital educational games, educational audiovisual programmes as well as the creation of various innovative children and youth programmes. The graduates will become experts in managing media projects and preparation of programmes in various formats (TV and radio programmes, e-learning courses, videos, web projects, mobile applications, digital games, etc.). They will know their strengths and weaknesses, but also the opportunities and risks they bring. They can also use the gained knowledge and experience in practical training and education. lecturer of media, information and digital education. The graduates of the programme are equipped with a basic summary of theoretical and practical knowledge and skills on the basis of which they are competent in: subject to the description and analysis of individual typological variants and means of digital communication, assess the level of acceptance of the influence of socio-cultural, psychological and technological factors on the creation of digital games and incorporate them accordingly, work individually in projecting and programming of digital games in cyberspace, master skills and competences from the fields of art graphics, digital graphics, graphic projection based on up-to-date technologies (2D, 3D animation, special light effects, textures, object modelling, projection of virtual environments), use acquired knowledge as a creator of sounds in digital games, i.e. compose sound with the use of digital technologies, modify space sound, register voice changes, master the procedures of postproduction process in the implementation of sound elements and finally, manage all stages of realizations of projects of digital games. The graduates from the master´s degree study programme called Theory of Digital Games acquire theoretical knowledge, practical experience and skill in the given area. They will be able to hold the posts of managers, create, manage and coordinate projects and researches in the digital sphere and apply the results in practice. They can find employment as specialists in the digital games production, project managers, directors, analysts of digital games production and researchers in digital games production. The content of the Theory of Digital Games study programme corresponds to and is based on the content of the study field of Mass Media Studies. The study field of Mass Media Studies focuses on training of experts in traditional print and electronic media, but also on new forms of communication, digital media and multimedia. Digital games have become a widespread medium representing new forms of digital communication and fitting into the content of the study field of Mass Media Studies. The core of the Theory of Digital Games study programme at the PhD. level consists of knowledge from the field of marketing and mass media communication, game theory and the interaction between the media and the media market (games in socio-cultural and media environment, typology of digital games audiences, research methods in digital games, marketing communication strategies in the field of digital games). The Theory of Digital Games study programme contains the following optional subjects: Audiovisual Means of Digital Games, Educational Aspects of Digital Games, Reflection of Postmodern Art in Digital Games, Graphics and Sound of Digital Games, etc. Proper completion of doctoral studies requires: passing the theoretical part of the study (lectures), research activity, passing the dissertation examination and the dissertation thesis defence. The study in doctoral degree is based on an individual study plan which is set up by the supervisor and the doctoral student at the beginning of the study on the basis of general study plans. FMK UCM owns the most modern technical equipment, which serves to quality training of the students. Excepting some standard digital technologies and other modern technical equipment, there is also top HD studio, disposing the latest and best quality equipment among central EU countries. It enables to make the production of technically comparable or even better level, comparing to mainstream TV stations in the country. There is also a possibility for the students to verify the acquired knowledge in practice, especially within co working centre Pointt, 9 professional cabinets or while working in school media – magazine Atteliér, radio Aetter, FMK TV. The student magazine belongs to top ones in the country for several years, while reaching the first place in this ranking for several years consecutively. We are proud of publishing various types of unique magazines – artistic revue Muuza and Media Literacy Student Magazin. 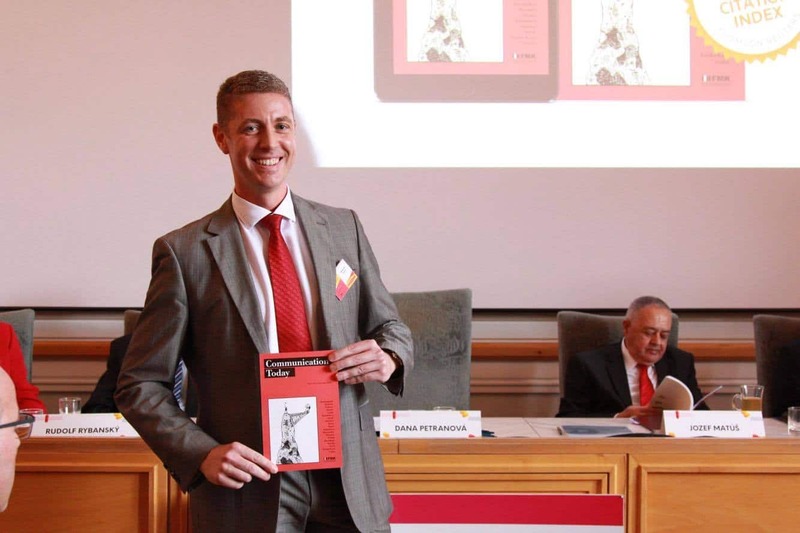 Muuza was awarded as the most beautiful book of the year in international competition. Media Literacy Student Magazine provides some space for publishing student works in media education field and media literacy. Our students regularly achieve success in various events and competitions – they were successful twice in national competition „The most beautiful book of year” with a monograph of artistic photos Kone.fmk and Among the raindrops. They are laureates of literary competitions and they gained leadership several times in the competition dealing with the best university student magazine. Currently, FMK UCM cooperates with 32 universities from 15 countries – e. g. France, Germany, USA, Central and Eastern European Countries. Assoc. Prof. Dr. Ján Višňovský, PhD. cooperation in the field of media arts production, PC animations, media education, media literacy and media production. The international scientific conference held annually by the Faculty of Mass Media Communication UCM in Trnava has become a traditional „spring“ event attended and supported by renowned media studies theorists and researchers as well as media professionals. The goal of the conference is to present and exchange the current knowledge and experience reflecting media and trends connected to them nowadays (for more details, please see annotations of the individual sections). Selected papers written and submitted in English are published in the scientific journal European Journal of Science and Theology which is indexed in the Scopus database. The journal’s editorial board performs selection of the best texts in cooperation with the scientific committee of the conference. Conference proceedings in English submitted for evaluation to databases Web of Science, Scopus, ERIH PLUS, EBSCO. Conference proceedings in Slovak, Czech, Polish or any other language than English. 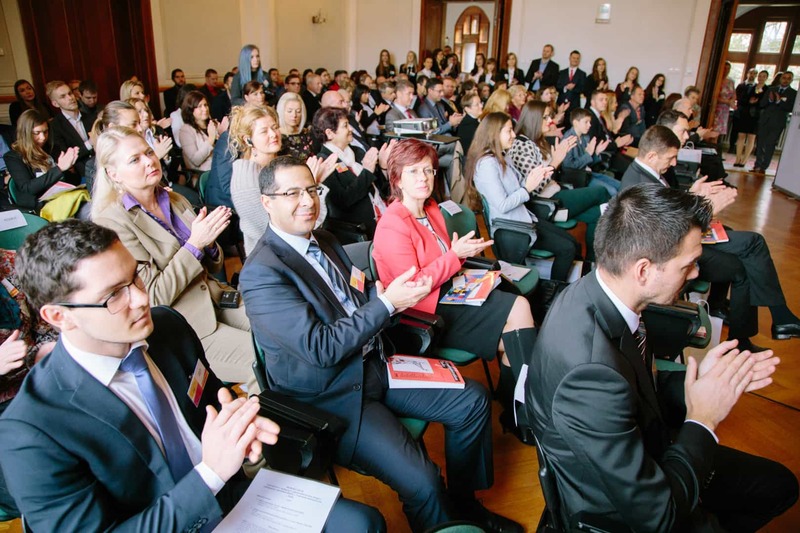 The international scientific conference held annually by the Faculty of Mass Media Communication UCM in Trnava has become a traditional „autumn“ event with support and attendance of marketing communication theorists and researchers as well as media and marketing professionals. The goal of the conference is to present and exchange the current knowledge and experience reflecting marketing communication, innovations, and trends connected to them nowadays. The conference proceedings related to Marketing Identity 2013 – 2015 are indexed by Web of Science. An event organized annually gives the opportunity to popularize science and technology and encourage students to their own investigation in these areas. Both teachers and students co-operate to prepare this five-day series of lectures given by professionals from media and marketing environment. Communication Today is a scientific journal from the field of mass media and marketing communication dealing with scientific reflection of media, media competences, discourse of reality boundaries, media thinking, new media, marketing and media relations, new trends in marketing, specific types of marketing, psychology and sociology of marketing communication and consequently the structuring of communication units, marketing strategies and communication science. It offers an interdisciplinary discussion to the professional public. It is a reviewed periodical and runs with a periodicity twice a year. It provides studies of theoretical nature, theoretically-empirical character, research results and its implementation into practice, as well as reviews of professional publications. Editorial members are members of international network European Communication Research and Education Association (ECREA). Communication Today magazine is indexed in databases as follows: Cabell’s Directories, CEJSH, EBSCO, ProQuest, Ulrich‘s Periodicals Directory, Index Copernicus and ERIH PLUS and Emerging Sources Citation Index (ESCI) – Web of Science Core Collection. Editor in chief: JUDr. Martin Solík, PhD. EJMAP reflects some theoretical and visual aspects of interconnection and interdependency of mass media platform, including art communication, photography, film, literature and advertising, as well as some up-dated topics from photo media field, photo theory, advertising theory and visual theories in relation to picture image interpretation. It mediates the studies of theoretical, theoretical and empirical character, research results and its implementation into practice, with a focus on visualise and profiling the journal such as intermediary of mass media and intermediary issues. Ejmap magazine is a reviewed periodical and runs with a periodicity twice a year. It is indexed in CEEOL and Web of Science databases. The faculty has been providing a student online magazine titles Media Literacy Student Magazine since 2013. The faculty´s professionals try to support professional and study activities of their students. The magazine offer space for publishing student works and interpretation of student activities results. With its thematic focus it covers the issue of media education and development of media literacy. The magazine supports the research and scientific activities of students and at the same time it is the platform for student discussion on topics related to the key aspects and topics of their study programme. It focuses mainly on popularization of media literacy and media education among students, teachers and other people interested in the issue. The magazine is intended not only for FMK students but also for students from other schools in Slovakia and abroad. Regarding the field of art the faculty has been publishing a representative selection of artistic and creative works in almanac MUUZA. The almanac in printed form includes the best literary and photographic works of students. The objective of the International Relations Office at the Faculty of Mass Media Communication (FMK) at the University of Ss Cyril and Methodius in Trnava is to develop and coordinate the international activities of both staff and students. The Office is responsible for policy preparation and policy implementation in the field of internationalization. The main tasks are to inform and raise awareness, coordinate, facilitate initiatives on internationalization and international cooperation. This involves providing support and feedback to the University management on staff and student mobility. providing information to students and staff on international mobility opportunities. international PR and networking, support and follow-up of international contacts at the policy level of FMK. If you want to get to know our current and recent international projects, please click here. Our commitment to internationalisation results from our ambition to achieve and maintain world-class quality in all that we do. Our goal is to provide all of our students, domestic and international, with a truly international experience at FMK. Key areas of interest: mass media communication, marketing communication, media education, artistic communication, digital games. FMK is seated in a historic town Trnava close to both the capital of Slovakia and the borders with Austria, the Czech Republic and Hungary. The town is the center of Trnava region (having 66 000 inhabitants and it is 7th largest in Slovakia) It is situated 50 km far from the capital Bratislava, being connected by a highway; and 100 km far from Austrian airport Schwechat close to Vienna.